This medication is used with other drugs to treat a certain type of cancer (acute lymphocytic leukemia). It is a chemotherapy drug that works by slowing or stopping the growth of cancer cells. What conditions does Mercaptopurine treat? Tell your doctor right away if you have any serious side effects, including: joint pain/swelling, black stools, vomit that looks like coffee grounds, signs of kidney problems (such as change in the amount of urine, pain in the lower back/side). Get medical help right away if you have any very serious side effects, including: symptoms of liver disease (such as nausea/vomiting that doesn't stop, stomach/abdominal pain, yellowing eyes/skin, dark urine). This medication may decrease bone marrow function, an effect that may lead to a low number of blood cells such as red cells, white cells, and platelets. This effect can cause anemia, decrease your body's ability to fight an infection, or cause easy bruising/bleeding. Tell your doctor right away if you develop any of the following symptoms: unusual tiredness, pale skin, signs of infection (such as sore throat that doesn't go away, fever, chills), easy bruising/bleeding. Mercaptopurine may rarely increase your risk of developing certain types of cancer (such as lymphoma, skin, cervical). This risk is higher in children/young adults being treated for certain bowel diseases (such as Crohn's disease, ulcerative colitis). Keep all medical and laboratory appointments. Tell your doctor right away if you develop any of the following symptoms: swollen abdomen, swollen lymph nodes, night sweats, unexplained weight loss, unusual skin changes (such as new skin lesion or bump, or change in size or color of a mole), unusual vaginal bleeding/discharge. List Mercaptopurine side effects by likelihood and severity. Before using this medication, tell your doctor or pharmacist your medical history, especially of: kidney disease, liver disease, cancer, a certain enzyme disorder (TPMT deficiency). Some products that may interact with this drug are: febuxostat, other drugs that weaken the immune system/increase the risk of infection (such as rituximab, tofacitinib). 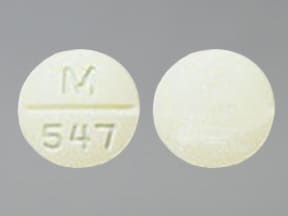 This medicine is a pale yellow, round, scored, tablet imprinted with "54 420". 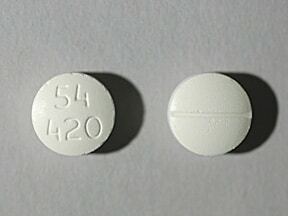 This medicine is a off-white, round, scored, tablet imprinted with "M 547". 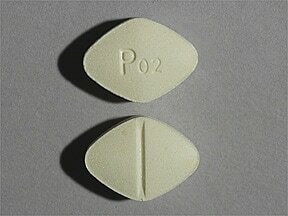 This medicine is a light yellow, diamond, scored, tablet imprinted with "P02". 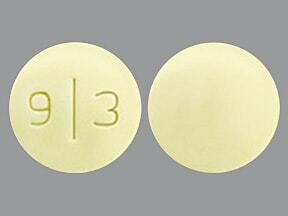 This medicine is a pale yellow, round, scored, tablet imprinted with "9 3". Are you considering switching to Mercaptopurine? How long have you been taking Mercaptopurine?